ChiIL Mama was elated to be invited to the special VIP kick off party for the Humanities Festival's Stages, Sights & Sounds 2013 and the "final rehearsal" for Paige in Full last night at The MCA. 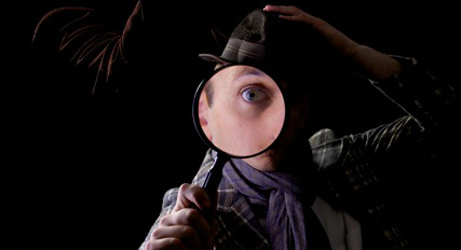 Over the next two weeks we'll be checking out two more performances from the Stages, Sights & Sounds Series, H.G. and Murder on the Midwest Express as well. We highly recommend you take advantage of this stellar, family friendly 6 show lineup. Loads of school groups will be expanding their brains in the coming days, with school matinee shows, and the nights and weekends are open to the public. Click here for tickets and complete listings. The fairy tale theme is exciting and compelling, and these world class productions have come to us from Switzerland, Scotland, Canada, Mexico, Maryland, and right here in sweet home Chicago. 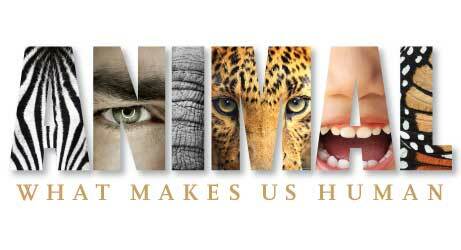 This year's overarching Humanities Festival Theme is Animal: What Makes Us Human, and these productions fit right in. Shows are selling out quickly, but there's still time to purchase tickets. It's an incredible staging based on real stories from the hood, skillfully interwoven with traditional Hispanic folktales. ChiIL out with 4 free tickets from ChiIL Mama to your choice of remaining Augusta and Noble shows! Be the first to comment below and you're an instant winner. Tell us "What fairy tale do you think most closely resembles your personal story?" and what time/date do you want to see the show, and the tickets are yours!! It's painless and easy. We were moved by the story line, the excellent acting and by the commitment of Adventure Stage to embracing community and a sense of place. This must see production brings forth stories of the underrepresented and gives them a voice. Paige in Full was old school and contemporary at the same time, with an overarching Mixed Tape theme as an expression of personality and individuality. Paige is candid and charismatic, and her voice is a great addition to the series. In the post show Q & A she confided that she began to write her own shows because she didn't see her life, culture, clothing styles and music represented in the plays she was seeing. We're elated her reality's finally being seen and heard... loud and clear. Highly recommended! Writer and performer Paige Hernandez brings us her unique coming-of-age story, a 21st-century not-so-fairy-tale about Everygirl's search for acceptance, meaning, and her one true love. For ages 12+. Using the language of hip-hop—dance, rhymes, and beats—Hernandez retraces her life growing up in Baltimore, recounting the joys, losses, and big bad wolves (who turned out to be heartless young men). Blending humor and honesty and embodying more than a dozen characters, she reveals (and helps us remember) not only the perpetual absurdity but also the universal struggles of adolescence. 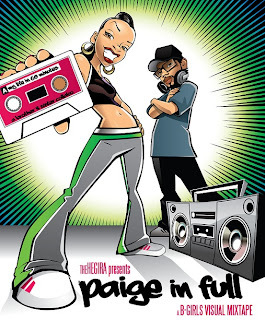 Mixing live on stage for Paige In Full is Chicago D.J. Sadie Woods. Part exhibit, part experience, h.g. is an extraordinary retelling of Hansel and Gretel andre-imagines what fairy tales, and theatre, can be. For ages 10+ (*absolutely nobody under 10 admitted--walk through exhibit/performance*). Last year's Stages favorite (and Chicago's own) Theatre Un*Speak*Able returns this May with its latest physical comedy gem, this time a whodunit about a murder on the high-speed rail tracks between Chicago and Toronto. For ages 10+. 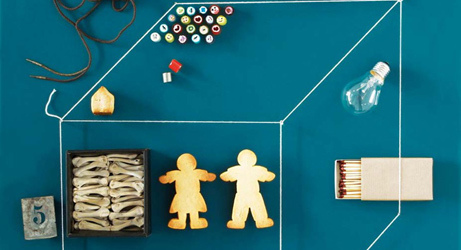 Montréal's L'Illusion, Théâtre de marionettes (puppet theater) uses the original Hansel and Gretel tale by the Brothers Grimm to reflect on poverty, fear, imagination, and change. For ages 6+. 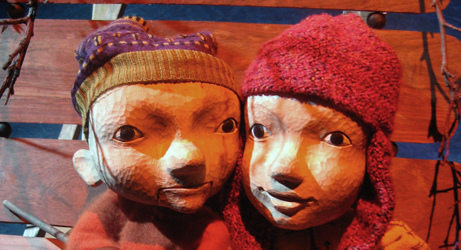 Marionetas de la Esquina's humorous storytelling and whimsical puppetry awaken this sleeping princess as never before in a contemporary take on the classic tale. For ages 5+. This highly visual, gentle story tells the tale of Cloudia, a cloud expert whose lifelong dream is to see the Cloud Man, a rare creature who lives a quiet life up in the sky. For ages 4+. Congrats, Tess! You're our 4 ticket winner. Please e-mail us at zbluesun AT gmail.com with your choice of show dates/times and the full name you want the tickets under. Enjoy! !